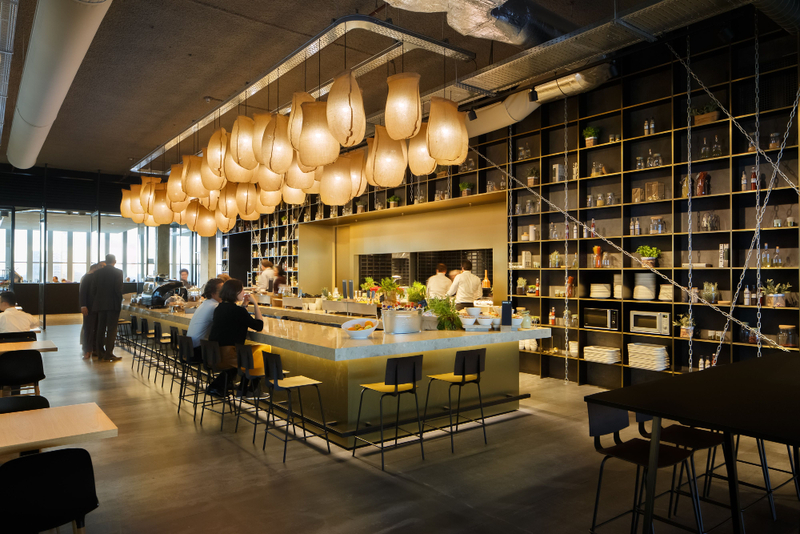 The interior design of our tenant Nidera, designed by Fokkema & Partners, has been awarded a German Design Award 2018 in the category of excellent communications design, interior architecture. Built in and around the massive building core are the meeting rooms. Important for Nidera was to create a characteristic workplace where departments would be encouraged to work together. The core was opened in the center to connect both sides of the massive 50 x 100m floor. This area serves as an adventurous living room with its wall lined with ‘hang pockets’ (hammocks). The interior of each room in the thick core is made grainyellow; These reflect a warm glow, which forms a rich background for workstations. With simple means such as fiber optic and jute, the office was cost effective to obtain a unique atmosphere. Next Post Rotterdam continues to grow!